Before I got my first car, I had a California Driver’s License but no car. My dad wouldn’t let me take any of my parents’ cars out (vast selection between an old Corolla and a new Corolla) because I had no insurance. It was like this for about a year, and almost every day I’d yearn for the opportunity to take a car out and drive. All I wanted to do was just drive. I’d already learned to drive a bit from my sister, my brother, and my father. I had basically been driving automatics and dabbed a bit in driving a manual gearbox on my brother’s SN-95 Mustang. Aside from that, I hadn’t done too much driving. That is, until I found the opportunity to not only drive, but to drive a manual. Every Saturday night, my parents would go to their friends’ house (about an hour away) for dinner and would stay there until about 1 or 2 in the morning. Sometimes I would join them, but other times I would stay home with not much to do. It would be some time before I found out where my dad hid his car keys when he wasn’t home. What’s a teenager to do when temptation and opportunity meets? I figured that if I could get my hands on my dad’s car keys when they left the house, I would have a good 4-5 hours with the car before they’d come home. So almost every Saturday, I would wait until my parents left home. 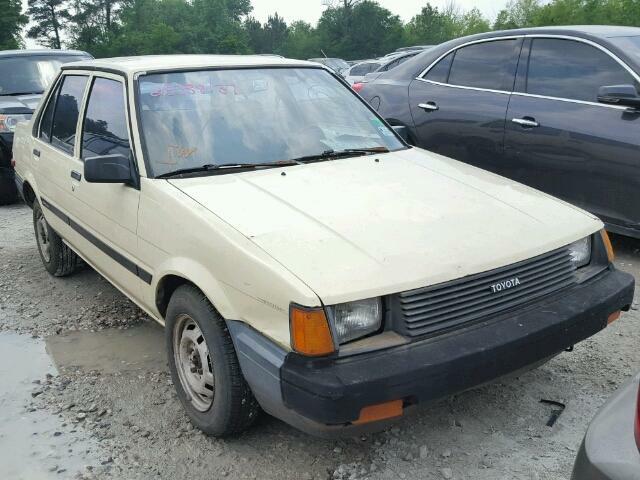 I’d get my dad’s keys to his 1984 Toyota Corolla, and go out driving just to go anywhere. I got off scot-free for a couple of months. I’d go out to run errands, have dinner with friends, or just go driving around. I made sure to get back at a reasonable time, park the car, and hide the keys back to its hiding spot. My dad appeared to not notice during these first couple of months. This ain’t the legendary Corolla AE86, nor any other sporty variant that Toyota ever offered. This was simply a plain ‘ol economic sedan that got our family from point A to point B. 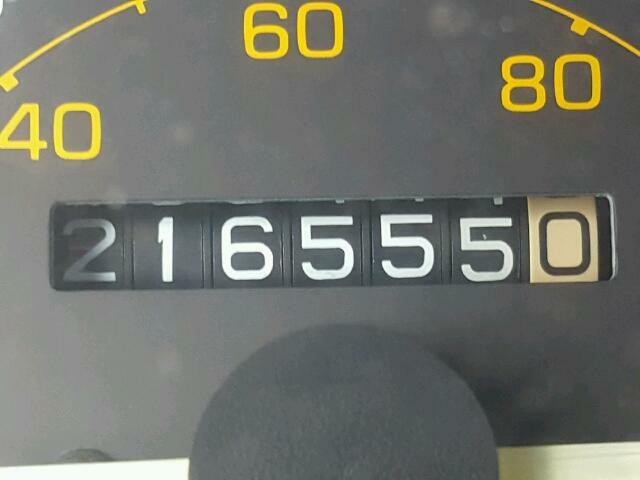 In true Corolla fashion, it held up to its heritage of being incredibly reliable. 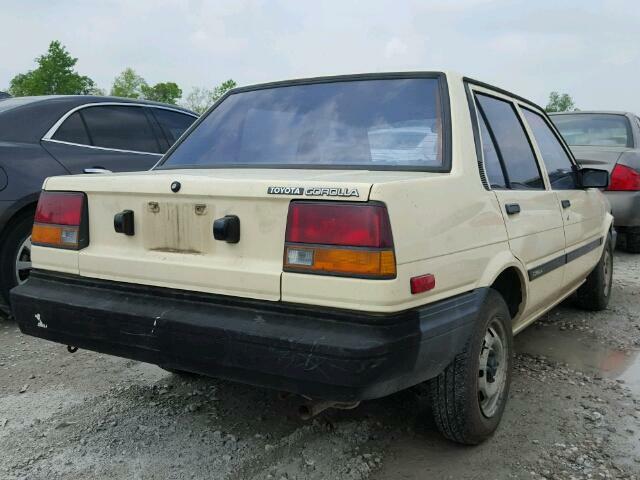 Today, you could say it’s almost as if this Corolla never existed. No one talks about this car, and you can’t find much information about the car, even online. After scrapping the web for photos of this car (especially in the beige color that my dad’s car was), I could barely find anything. 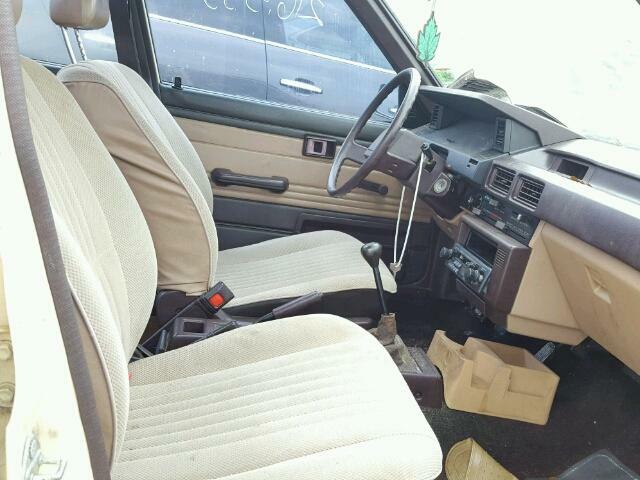 It wasn’t until I pulled up a junkyard listing of this car that I found what looked most like my father’s car. In fact, if it weren’t for the fact that this junkyard was located in Texas, I would have thought it actually was his car. It even has the green leaf air freshener hanging on the rear view mirror! From looking at these photos, the memories come flooding back. I can still remember the textures of this car. The bumpers that looked and felt like they were plasti-dipped straight from the factory. Peeling weather stripping revealing bare steel underneath. The distinct clanking from the opening and closing of the doors, hood, and trunk still resonate in my ears. 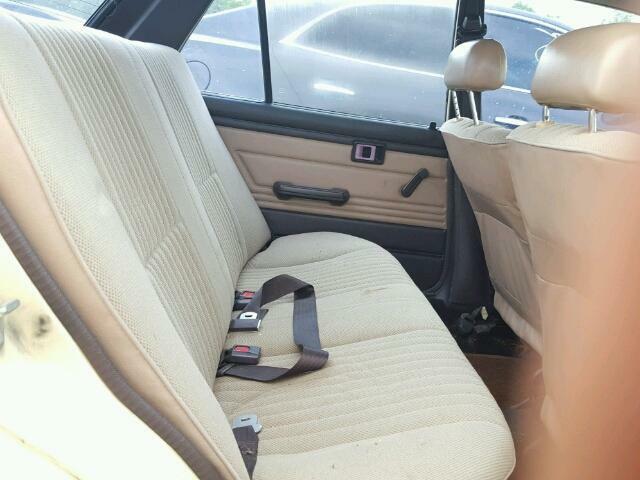 The cloth interior was, you guessed it, beige. I never even knew the shift knob boot was supposed to actually be covering the shifter because for all the time my dad has owned the car, it has looked like the photo above. The climate control was all manually-controlled. To open and close the vent actually required you to get some force behind it. Everything else in the car was very hard plastic. The car was really slow. Even as a teenager not having driven anything quick before, I could tell this car was not fast at all. I remember a time when I had 2 other friends in the car and we tried to race a BMW 2002 packed with 3 other friends. After a run from a stoplight, one of our friends said it was the slowest drag race that they had ever seen. The thing that was nice about the Corolla however, was that it was a manual transmission. The gearbox was so incredibly soft and the clutch so light, that it helped me develop my beginner manual driving skills. You might imagine that these are not the greatest characteristics to describe a clutch and gearbox, but it was really easy to drive. Week after week, I’d learn more about driving a manual and eventually I became very comfortable driving one. I tried to do the best I could not to get caught. I made sure to put everything back in its place when I dropped off the car. That meant I left the car in first gear when parked, the same way my dad would. I tried my best to park in the very same spot it was parked before I left. And of course, I always put the key back into its hiding place. There were two things that I just couldn’t consistently replicate. One is the mileage obviously; I assumed that with it being a high-mileage car, a bit of additional mileage wouldn’t be too noticeable. But second and more of the issue here, was parking the car back in its original parking spot. Since the car was parked on the street, I had to make sure I parked in that exact spot when I returned home at night. Unfortunately the street parking would fill up, so by the time I got home, there would be very little parking left. Because of this, I was forced to park further down the street. The first few times I did this, I could tell my dad was a bit confused. My guess is that he dismissed the car moving on its own assuming that he forgot where he had parked the car. Makes sense— sometimes I’ve forgotten where I’ve parked my own car. But there were times when it got pretty ridiculous to the point where the parking was so bad that I had to park halfway down the block. Until one Sunday morning (after one of my Saturday night ventures), I remember seeing my dad walk out to the car, look inside, and walk straight back to the house looking pretty angry. I knew he was coming for me. I just knew it. He came right into my room and gave me hell for knowing what I’ve done. He outsmarted me by recording down the mileage and checking it again that morning. I guess he had a hunch after the car had moved on its own so many times. I never got to drive the car again. And as much as I know this car would be labeled as a jalopy, I can’t help but miss the feeling of driving the hell out of this car and loving every moment of it. It’s kind of crazy thinking back to the things I was willing to do when presented with the opportunity to take the car out. I didn’t have any insurance and had very little driving experience. I’m just glad that nothing went wrong and that I was able to learn my lesson without incidence. First One in Line or First One with Cash?